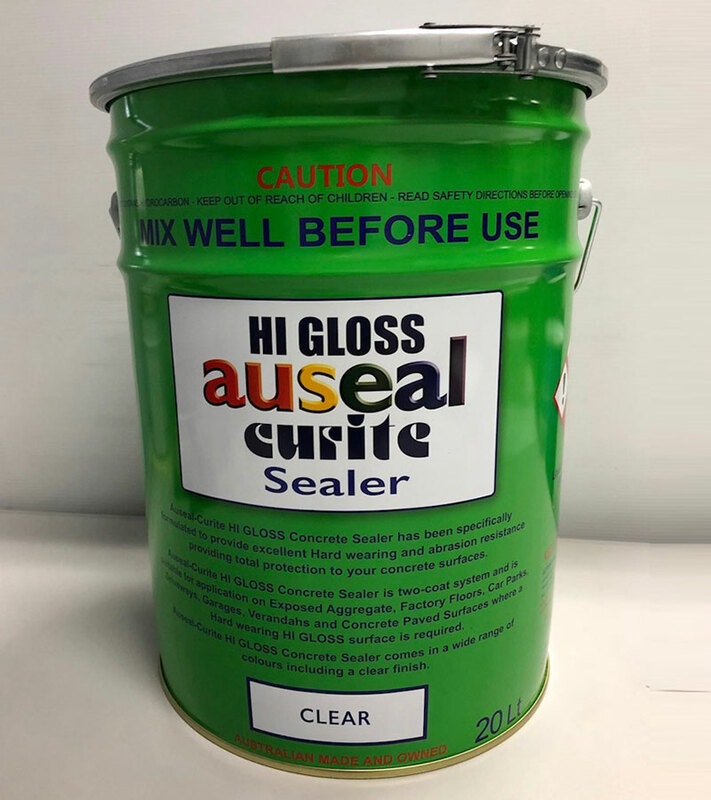 HI GLOSS SEAL is a concrete sealant specifically formulated for sealing and protecting dry concrete based commercial and factory floors where a high gloss, low maintenance finish is required. 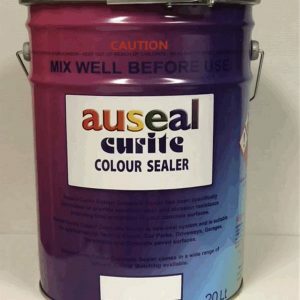 HI GLOSS SEAL is based on 100% acrylic copolymer. Suitability for both Interior and Exterior application. Available in Clear and 24 Standard Colours. Suitable for application by broom, roller or airless spray to concrete and pebble floors. 5 – 7 Square metres per litre depending on profile and porosity of surface. First coat should be diluted with up to 20% solvent. Recoat Time Min. 4-6 Hrs. Full Film Formation (Cure) 7 Days. 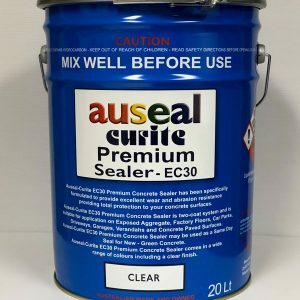 HI GLOSS SEAL is available in 5, 10, 20 and 200 litre drums. Refer to the Safety Data Sheet before handling or use. All surfaces to be sealed or coated must be free from dust, dirt, oil, grease and other contaminants. Clean all surfaces with degreasant and flush with copious quantities of clean water, scrubbing to remove all contaminants while washing down the area. Repeat this application until all residues of contaminant are removed. Acid etch bare concrete if surface is not profiled, using hydrochloric acid diluted with 10 parts water to 1 part acid. Broom on to surface and leave to react for approximately 10 minutes. Do not allow to dry out, hosing off with copious quantities of fresh water. Allow surface to thoroughly dry prior to sealer application. Stir thoroughly before and during application to ensure uniformity, making sure that any suspended pigment (if coloured) is completely re-incorporated. The First coat must be thinned with 10-20% Xylene to assist penetration and adhesion. Apply coating evenly with broom, roller or spray gun. Uneven application may result in blistering. Allow recommended drying time and apply evenly one full second coat without dilution. 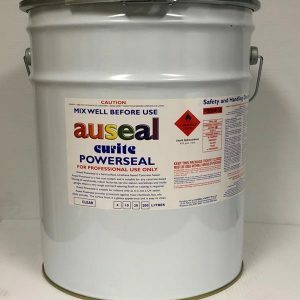 HI GLOSS SEAL can be removed from tools and equipment with Xylene. Hi Gloss Seal is a COMBUSTIBLE LIQUID. Provide adequate ventilation during application and drying. Store away from naked flames and sparks. Ensure you are familiar with MSDS prior to usage.